Visit by Acting Minister for Education (Schools), Mr Ng Chee Meng and Minister of State for Education, Dr Janil Puthucheary on the 12 October 2015. 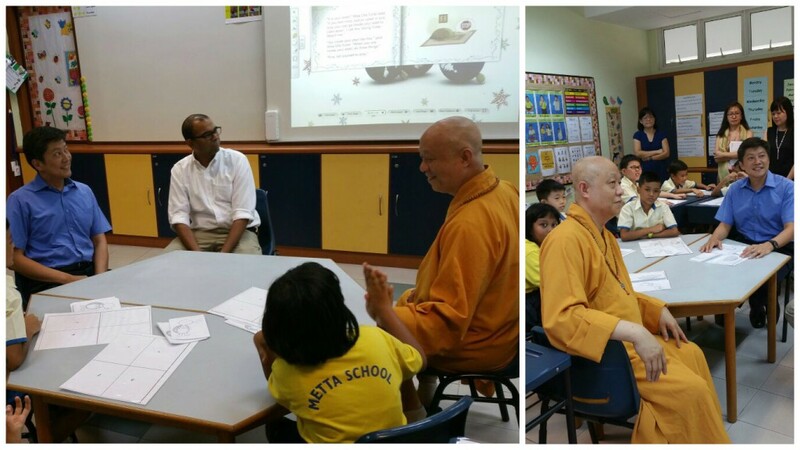 The school is honoured to have Mr Ng Chee Meng and Dr Janil Puthucheary visited Metta School on the 12 October 2015 afternoon. Minister, MOS and Ven Shi Fa Zhao joined our B4 class for PATHS lesson. PATHS (Providing Alternative Thinking Strategies) aimed to facilitate the development of self – awareness, social and emotional learning and self-regulation techniques. The students were thrilled to have Minister, MOS and Ven Shi Fa Zhao to participate in the lesson. Minister and MOS also met our A7 class cooking fried rice. He even tasted Yi Xuan’s fried rice and mentioned that it is delicious. Next, our honorable guests toured the vocational facilities. 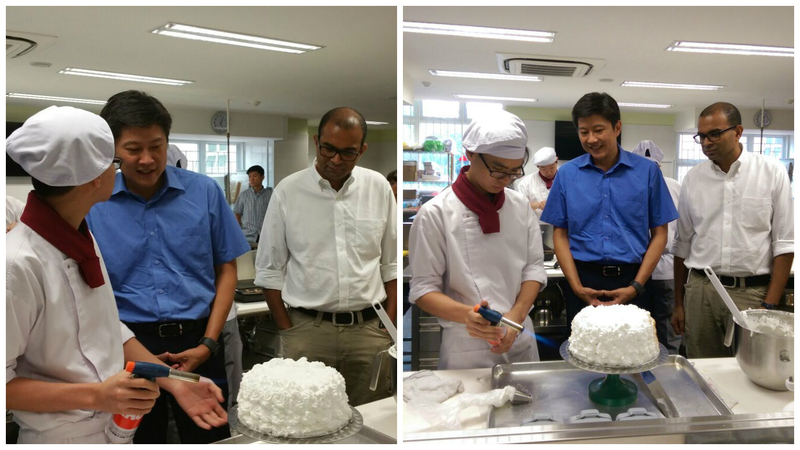 The V4 students taking the ITE Skills Certification shared with our guests their knowledge and skills in baking, housekeeping and food preparation. 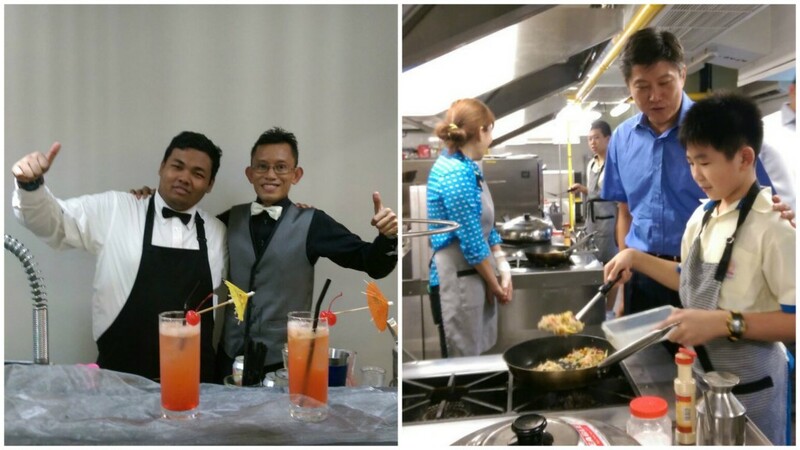 Syazwi, a V4 student had the opportunity to make our guests a glass of Mocktail and shared with them his aspirations to continue his education at ITE. Since the visit, Syazwi has been in an excited mode and he kept talking about Mr Ng Chee Meng, the Acting Education Minister who visited Metta School and got a taste of the SG50 Paradise Mocktail drink that he concocted. Syazwi felt greatly supported and encouraged by Mr. Ng’s visit and hopes that he would have many opportunities to meet and serve him “Syazwiian-Style” meals.